Gabriele Koehler is a macroeconomist trained at the universities of Munich, Tübingen, Regensburg, and Ottawa. She worked in senior positions as a development economist with the United Nations at ESCAP, UNCTAD, UNDP, and UNICEF, and has been a visiting fellow with the Vulnerability and Poverty Reduction Team at the Institute of Development Studies, UK. She serves on several advisory boards in the field of international development, and is currently based in Munich as a policy advisor, researcher, and publicist. 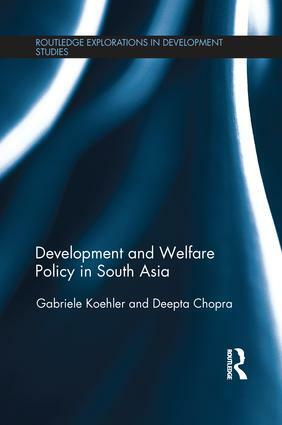 Her research interests include the development agenda beyond 2015; human rights; employment and decent work; social protection; industrial, trade, and investment policy; and social and economic policy in South and Southeast Asia.